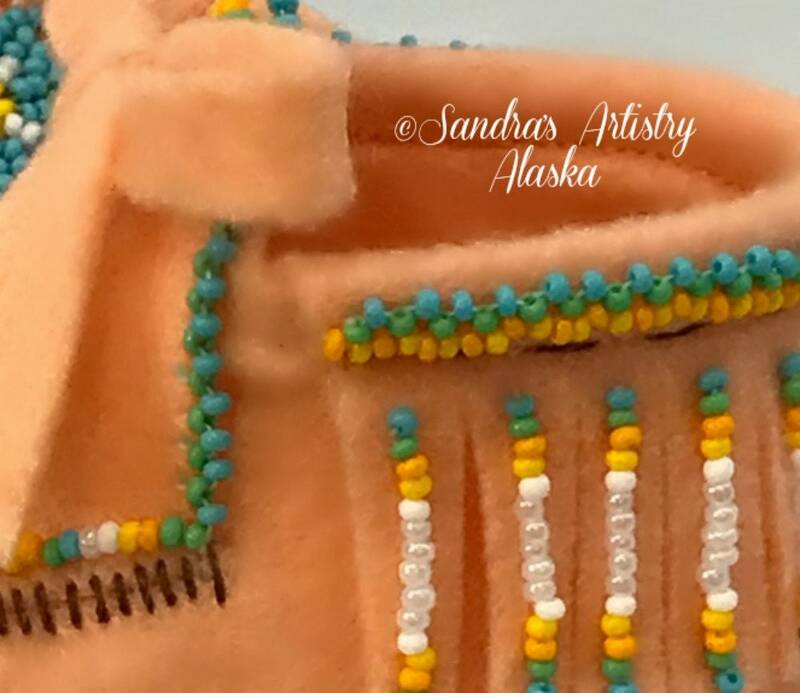 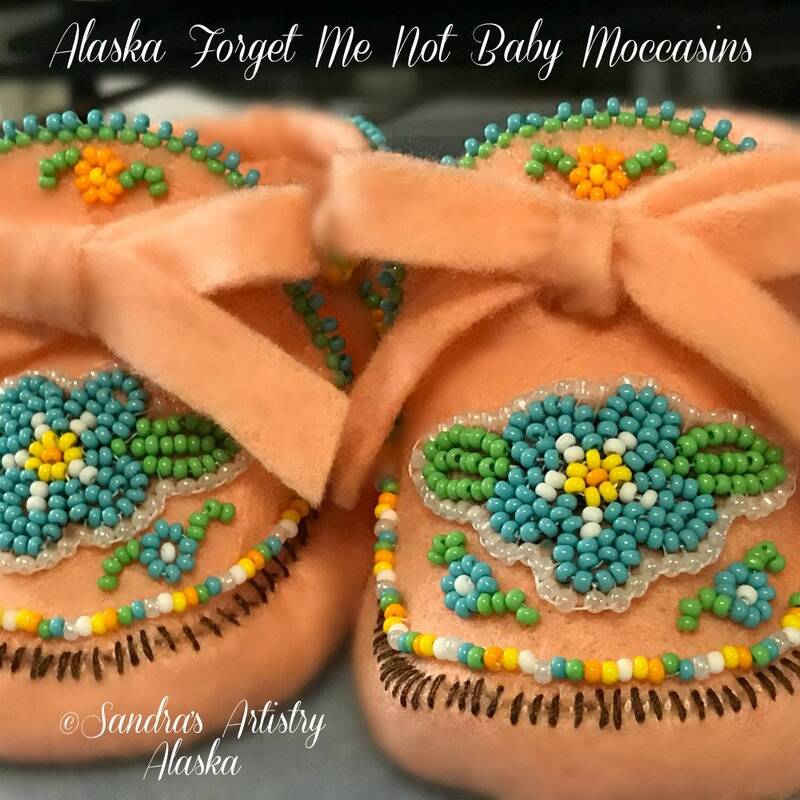 Great additions to any baby outfit, provides for great photography and birth props (especially weddings and newborn announcements and photographs or during Alaska Celebration) and a masterpiece as a family 'Alaska-themed' heirloom. 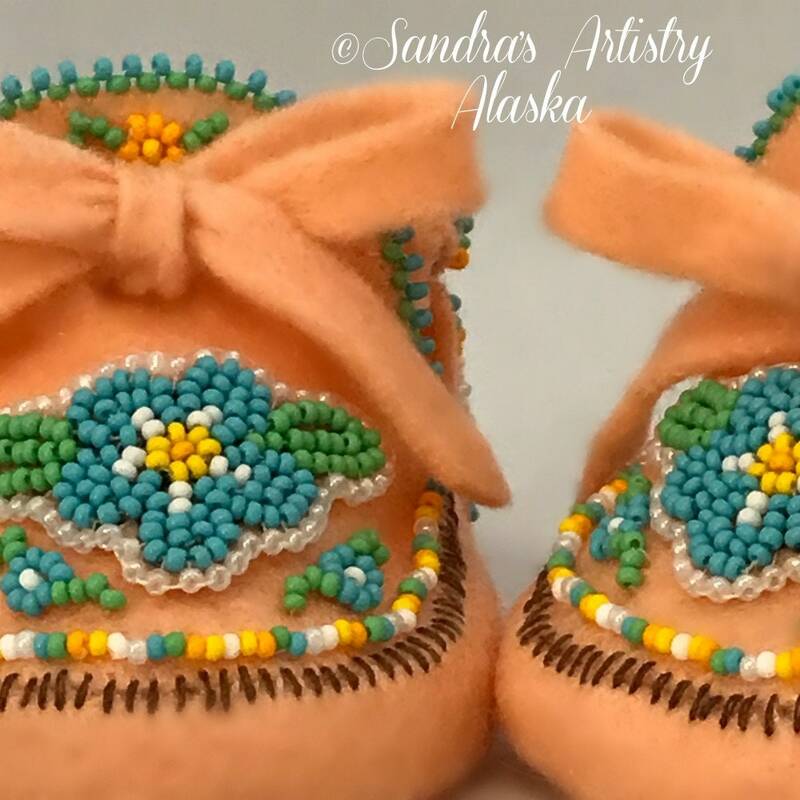 Any mother would be happy to receive these heritage regalia heirloom booties as a gift or just because. 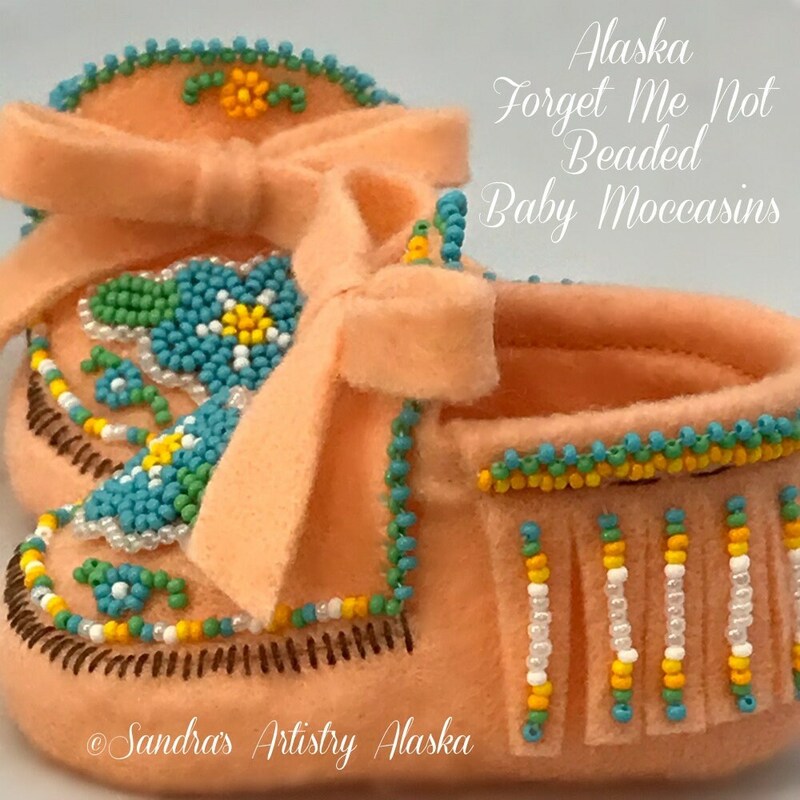 Many are purchasing multiple sizes, just so their infant doesn't outgrow them too soon! 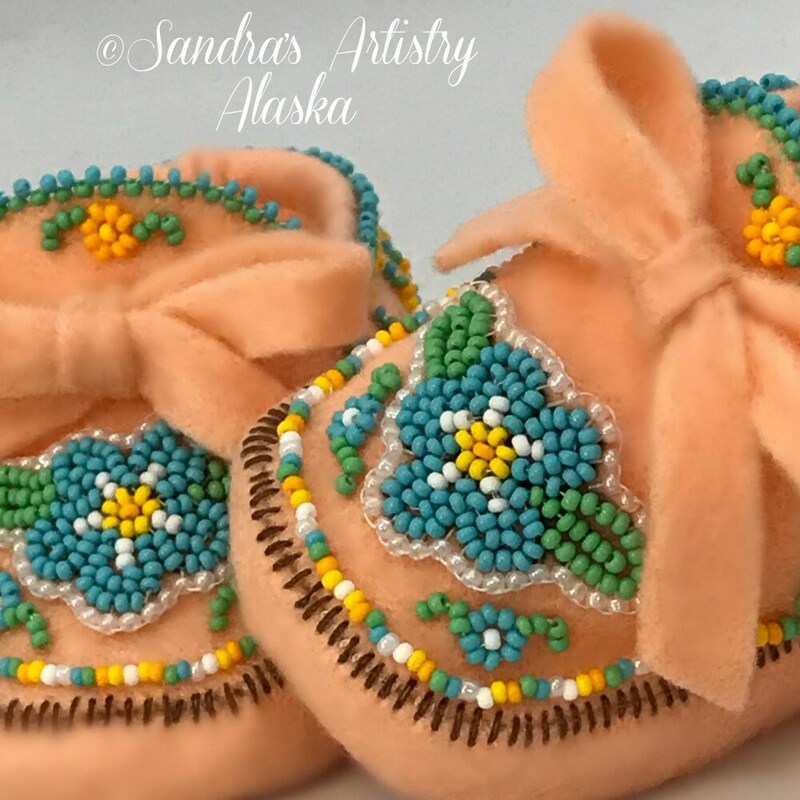 A perfectly wonderful method in which to share your LOVE of ALASKA and your baby!